He may be from the Philippines, but Anthony Miranda has a thing for Italian cooking. Since arriving in New Zealand to study cookery 18 months ago, he has worked at three of Auckland’s most popular Italian eateries. Lucky then that the tutors at NSIA taught him how to make fresh pasta and pizza! I was keen to work as a chef outside of my country and was looking for somewhere I could study culinary arts and enhance my cookery skills. My agent showed me lots of different schools here in Auckland, but after an extensive internet search I chose NSIA because it’s one of the most well-known schools, has good facilities and offers students plenty of support. During my first year we learnt foundational skills such as basic cooking, food hygiene and knife skills. Classes are a mix of theory and practical and I have classmates from all over the world. Meeting new friends from different cultures has been amazing – we’ve created so many memories together, and I will treasure them always. I particularly enjoy the practical classes because it enhances my skills and teaches me a lot about cuisine from different countries. I’m looking forward to sharing these new dishes when I go back home. 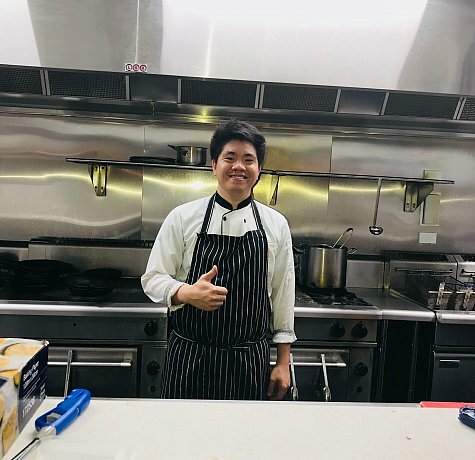 I meet different tutors and chefs every block, each with their own style of cooking, and their own unique experiences and techniques to share. This all contributes to my own development as a chef. However, the most valuable thing I’ve learnt at NSIA is the importance of having the right attitude. To succeed in this industry, you need to cultivate a positive attitude towards your work, and your co-workers and customers. Even if you are a skilful chef, you won’t do well with the wrong attitude. Tell us about your employment journey. 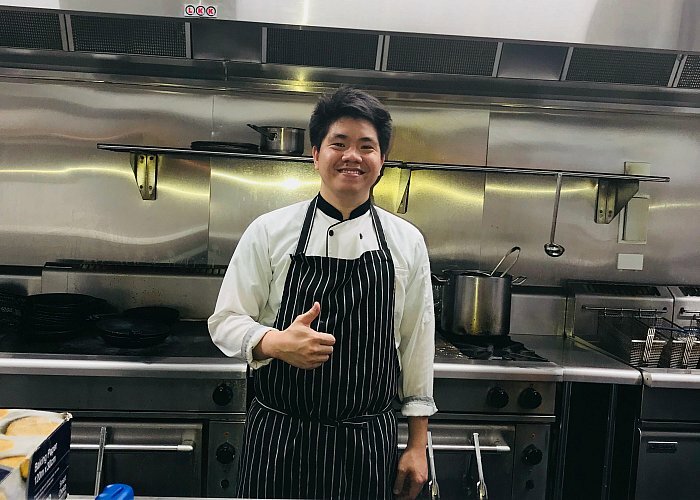 NSIA helped me put together my CV in a way that would appeal to New Zealand employers, and they also helped me secure my first part-time job here in New Zealand, as a commis chef at Andiamo, an Italian restaurant in Herne Bay. There I assisted the sous chef and head chef in cooking and preparing food, handled the larder and breakfast section, and ensured company kitchen safety standards were followed by everyone. From there I was offered a job as a commis chef at another Italian restaurant, Osteria Del Pane, where I worked on the hot section cooking main courses. My third and current job is as a pizza chef and commis chef at Viva Italian Restaurant in Auckland’s Aotea Square. My daily tasks include ensuring ingredients are fresh, preparing food, making pizzas, and helping the chef de partie cook main courses and other dishes. I’ve really enjoyed learning how to make authentic pizza using a wooden oven, and learning the different techniques used in Italian cooking. I’ve also learnt lots of new ways to creatively plate food. Luckily at NSIA we learnt to cook a lot of Italian food and were taught how to make fresh pasta and pizza dough. This has been very helpful in all three of my jobs! Also helpful are the time management skills we learnt – to work as a successful chef you need to be well-organised and work to tight time limits. Eventually I hope to open my own restaurant and share all that I’ve learned while studying and working here in New Zealand. Viva Italian Restaurant is a smart, fast-paced trattoria in the heart of Auckland, just off Aotea Square. Featuring the very best Italian cuisine, from street food to gourmet dishes, Viva Italian Restaurant showcases a wide range of classic fare from across Italy’s many different geographic regions.